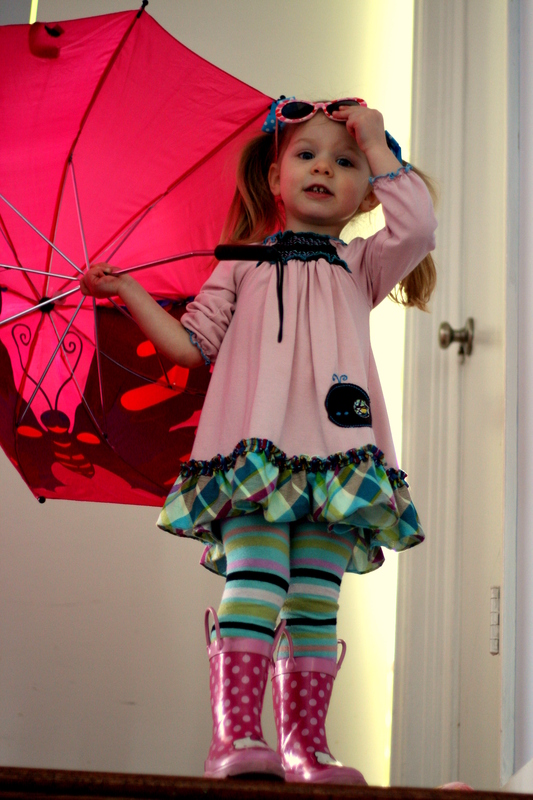 I know a little girl that’s ready to put the snow boots away and break out the wellies. Hip hip hooray for spring!!!!! Adorable :) I’m with Arle….go away snow!! We woke up to 6 1/2 inches of snow yesterday morning. Can’t wait to see you all. Would you order up some nice weather for while we’re there? This “bridge troll to be” would love some warm park weather. Love to all. 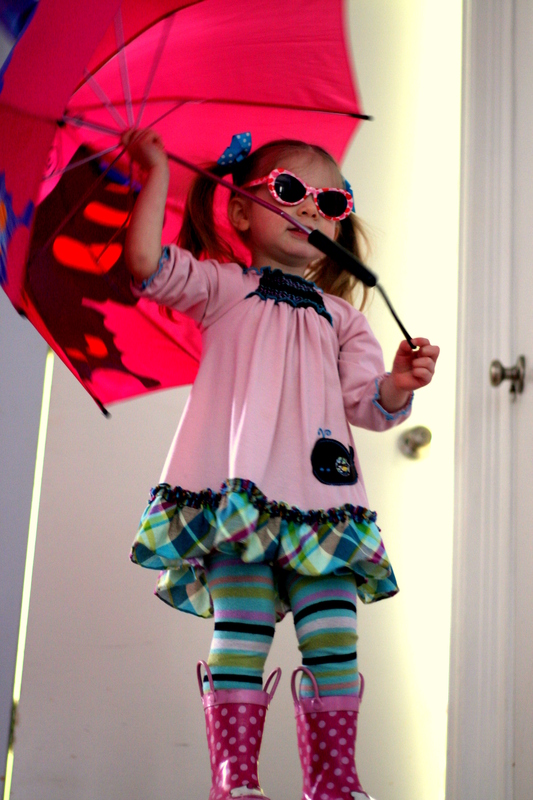 I am so proud to be this little girl’s aunt…. she is ADORABLE!! She is just to die for….love the whole outfit! Love the whole outfit. She is so darn cute. baby legs??? have you tried the tights?? I hate tights b/c it is so much work for me but just wandering!!! Yea, i haven’t been here in awhile so I am having to read some reallly old post.